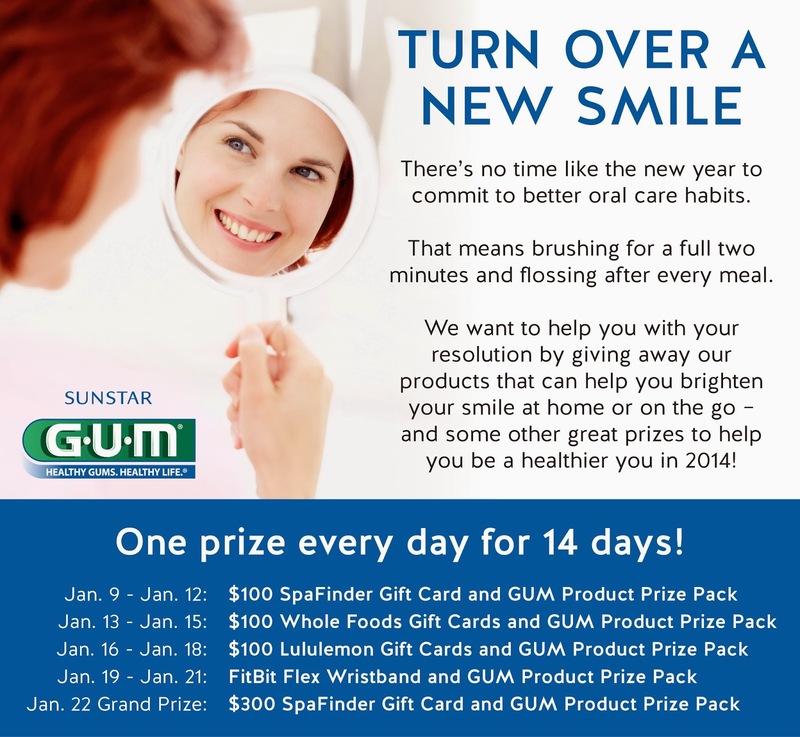 Sunstar GUM’s “Turn Over a New Smile” Facebook sweepstakes starts January 9th and runs through January 22nd. Each day they are giving away GUM oral care products and a variety of other gifts such as SpaFinder, Whole Foods and Lululemon gift cards (One prize per day for 14 days!) Enter to win on Sunstar GUM's Facebook page under the "12 Days of Holiday Smiles" sweepstakes tab. If you get five friends to sign up and enter the sweepstakes, you will receive a bag of GUM Eez-Thru Flossers. A New Year means a new smile. Commit to better oral care habits such as brushing for a full two minutes and flossing after every meal.